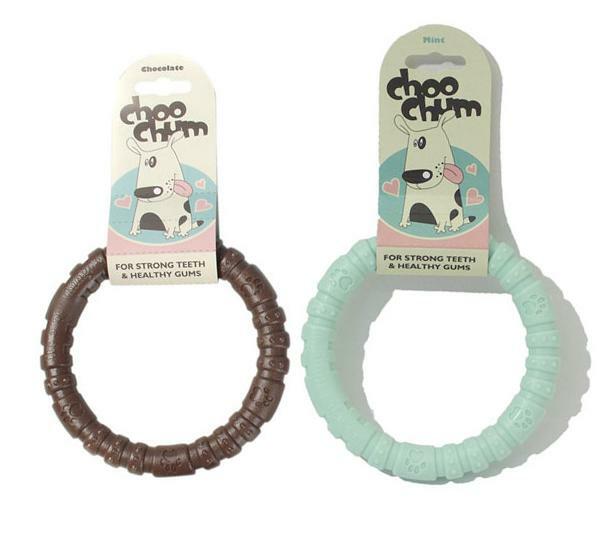 The Rosewood Choo Chums Ring is made from 100% nylon, with a chewy texture and different flavours to choose, the Choo Chum collection will encourage frequent chewing and gnawing to help promote healthy teeth and gums. They are designed to last brilliantly, even with the most determined of chewers and they can be easily cleaned with some boiling water. There are currently no questions for Rosewood Choo Chums Ring Dog Toy - be the first to ask one!